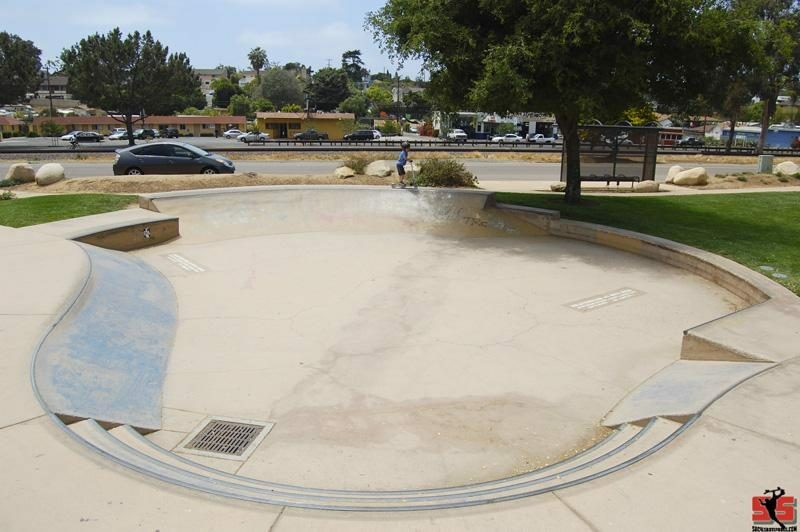 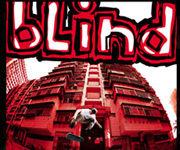 A big flat area with a long quarter pipe,ledges and a pyramid corner hip. 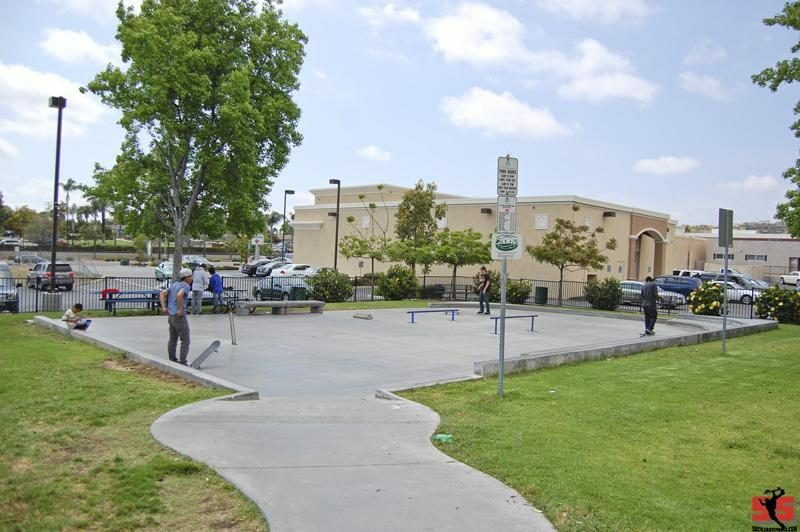 A flat Concrete pad with a pole jam,parking block,ledges,rails and a bench. 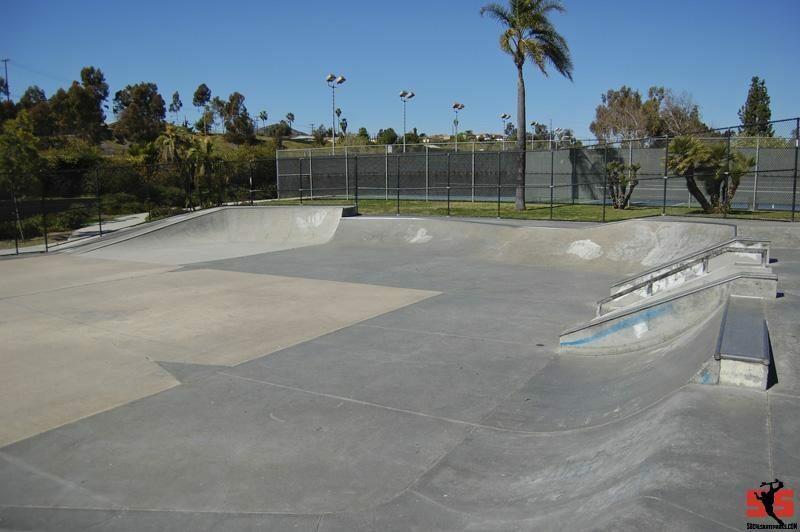 Not the biggest skatepark or the best but if your creative it can be fun.